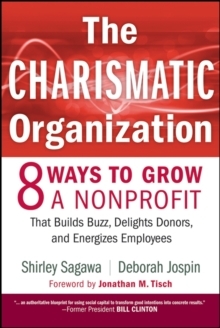 The authors offer a framework that allows organizations to go beyond quick fixes and fundraising strategies to a broader paradigm that encompasses community and organization building. What if every person involved with an organization was fully engaged and shared a common goal? What if the efforts of a relatively small ring of staff and board members were amplified by everyone touched by the organization, including current and former volunteers, staff, board members, clients, constituents, funders and supporters? That, the authors show, is the way a charismatic organization operates. 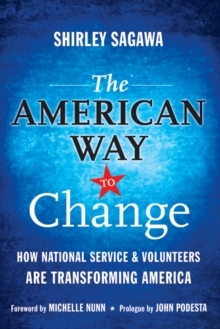 The book provides numerous examples of how successful organizations have made this shift, as well as action steps that all organizations can take to perform better. 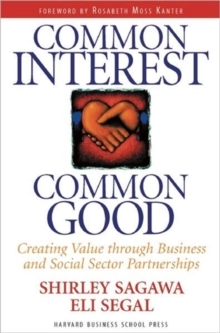 "In today's interdependent world, nonprofit organizations have more opportunity than ever before to make a difference in people's lives.